The PGA Tour stays in Florida this week as we head to the Copperhead course at the Innisbrook Resort in Palm Harbour for the Valspar Championship. This is a Par 71, 7340 yard course. The tournament was founded in 2000 and has always been played at the Copperhead course. There are five Par 3′s and four Par 5′s to contest and the closing three holes (16,17,18) are rated amongst the most challenging closing stretch on the Tour. The fairways and Greens are Bermudagrass with the fairways being tighter than most courses on the tour and the greens smaller than average. The Par 4, 460 yard, 16th hole is the most difficult on the course with water along the whole right hand side. This can create havoc if the wind is coming in from the left. This event has gone through a few names changes in its short history. It was originally known as the Tampa Bay Classic from 2000-2001, however there was no tournament in 2001 due to September 11 terrorist attacks. In 2002 it became the Tampa Bay Classic Presented by Buick. After one year of sponsorship from Buick it became the Chrysler Championship from 2003-2006. Pods then sponsored it in 2007-2008 as the PODS Championship until it became the Transitions Championship from 2009-2012. Last year it was known as the Tampa Bay Championship presented by EverBank. (Bit of a mouth full). In September last year the Valspar Corporation signed a four year deal to become the title sponsors of the event, giving us yet another name change! After two stellar fields at the WGC Cadillac Championship and Honda Classic in the past two weeks we still have a good turnout of top players for this tournament with players such as Jason Dufner, Graham DeLaet, KJ Choi, Paul Casey, Brandt Snedeker and Marc Leishman taking part. The Top Five in betting this week are: 16/1 Harris English, 18/1 Jordan Spieth , 20/1 Matt Kuchar, 20/1 Luke Donald and 25/1 Justin Rose. Looking at the Copperhead course this week we can expect to so some real challenging golf as it can play difficult at times, especially if the wind decides to make things exciting which always plays a part in Florida. This can cause a lot of problems for many players especially those with little experience on the Copperhead course. The Par 5′s will also play a major part this week as they are all reachable for most players, so Par 5 stats should be closely monitored. When looking at the past winners of this tournament they have all ranked highly in Greens in Regulation stats and have been good ball strikers, so again keep this in mind when looking for the winner as most of the greens are smaller than the tour average. It will also pay to look at good Par 3 performers as there are 5 of them to contend with this week. Taking all this into consideration I have two players who fit the bill. There is a good crop of young talented golfers hitting their stride on the PGA Tour in the last 12 months and one such player is Harris English. After turning Pro in 2011 he found his way onto the PGA Tour in 2012 and has not looked back since. Last year he won the FedEx St Jude Classic in June then followed it up with his second title in November at the OHL Classic at Mayakoba. His World ranking jumped from 136th at the start of last season to be 38th at present. If he keeps going like this Harris could be inside the Top 20 real soon. He has started 2014 with a lot of confidence. Seven starts have resulted in six finishes inside the Top 20! First up was a T11th at the Hyundai Tournament of Champions, then a 4th at the Sony Open, T33rd Humana Challenge, 9th Phoenix Open, T10th Northern Trust Open, T9th WGC Accenture Match Play and finally a T16th WGC Cadillac Championship. With form like that English’s third tour victory is just around the corner. If you look at his stats leading into this week we can expect to see him contending on Sunday as the course should set up well for his game. 13th in Driving Distance, 6th in Greens in Regulation, 4th in Birdie average, 4th in Scoring average, 5th in Par 3 birdie or better, 11th in Par 4 birdie or better, 10th in Par 5 birdie or better, 3rd in Ball Striking, 28th in Scrambling and 2nd in All Round rankings. Not to mention 5th in the FedEx Cup standings. I usually stay clear of the favourites when it comes to the golf, however this week it is impossible not to jump on board the Harris English bandwagon. He represents an excellent Each Way bet and I expect a collect this week. While I am very keen on Harris English winning this week I have decided to look further afield for a good longshot selection this week. Appleby last won on the PGA Tour in 2010 when he won two tournaments. During 2011, 2012 and 2013 he contested a total of 96 tournaments and managed a woeful three Top 10 finishes. One in each year to be exact. Roll forward to 2014 and we have a new rejuvenated Stuart who has already had two Top 10′s from his six starts to date. The encouraging part is that he has not missed a cut in any of those six starts. Last week at the Honda Classic Appleby finished T8th with rounds of 69-69-65-72 to finish just three shots behind the Winner Russell Henley. Perhaps this is the year that sees Stuart get back into the form that saw him reach as high as World No13 in 2004. There is still plenty of life left in the 42 year old and he could surprise at big odds! Well worth a look at in Top 10 markets too. This entry was posted in Golf and tagged Copperhead course, Golf, Harris English, Innisbrook Resort, Jordan Spieth, Justin Rose, Luke Donald, Matt Kuchar, Palm Harbour, PGA, PGA Tour, Tampa Bay Classic, Valspar Championship on March 12, 2014 by bradeveleigh. The PGA Tour has the week off following the Deutsche Bank Championship where one of our favourite players Henrik Stenson was successful after a fantastic year of results. 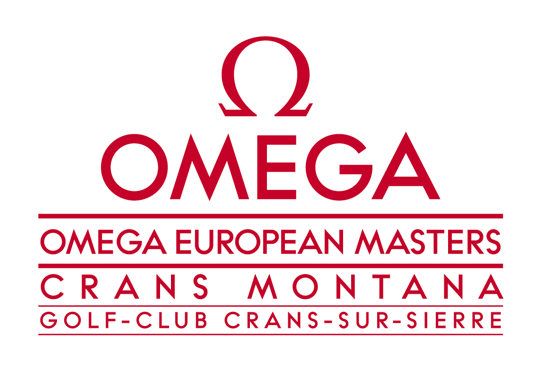 This week we find ourselves in Switzerland at the Crans-Sur-Sierre Golf Club for the Omega European Masters. It is a Par 71 course measuring 6881 yards. The course is 5000 feet above sea level with amazing alpine scenery. The bookies Top 5 in betting are- 20/1 Joost Luiten, 20/1 Paul Casey, 22/1 Matteo Manassero, 25/1 Richard Sterne and 25/1 Miguel Angel Jimenez. Two players stand out this week. After starting the year ranked No.392 in the World, Peter finally cracked the Top 100 last week when he finished 2nd in the Wales Open. It was a great week as he also celebrated his 24th birthday. That confidence should see him play well this week. After 20 starts this season Uihlein has seven Top 10’s which also includes a victory at the Madeira Island Open. Other results include 4th Tshwane Open, T6th Puerto Rico Open, T8th Open de Espana, T10th BMW International and T10th Scottish Open. Stats wise he is ranked 20th in putts per GIR, 4th in driving average and 6th in stroke average. Last weeks break into the Top 100 will have Peter setting his sights on a few new goals. Expect to see him go on with it this week and show why he has done the right thing in playing on the European Tour before heading home to have a crack at the PGA Tour. Brett is another player having a great year on tour. He has rocked up the world rankings from No.225 to No.78. From 18 starts he has had eight Top 15’s, five Top 10’s and 2 wins! Those two victories were back to back in the Ballantines Championship and China Open. He is coming off a T8th at the Wales Open last week. This will be Rumford’s 14 start in this tournament and he has only missed the two cuts. He won here in 2007 and was 19th last year. If it comes down to putting stats this week then you can not go past him. He is ranked 1st in putts per round and 6th in putts per GIR. He is also ranked 2nd in scrambling and 7th in the Race to Dubai. Heading into this week you have a player coming off a T8th finish, who has two victories this season and enjoys the course where he won in 2007 and had a Top 20 last year. If you put that all together you have a player who should be up there on the leader board heading into the weekend. The current available odds represent a great each way selection. This entry was posted in Golf and tagged Ballantines Championship, brett rumford, Deutsche Bank Championship, Golf, Henrik Stenson, Joost Luiten, Madeira Island Open, miguel angel jimenez, Omega European Masters, Peter Uihlein, PGA Tour, Wales Open on September 3, 2013 by bradeveleigh. The PGA Tour heads to Greensboro, North Carolina this week for the Wyndham Championship at the Sedgefield Country Club. This will be the regular season finale as the players jockey for a position in the top 125 standings to extend their seasons. Sedgefield Country Club has hosted this event since 2008. It is a Par 70 course measuring at 7177 yards. There are 48 sand bunkers and 13 water hazards that include twelve creeks and one pond. The course was closed in May last year as the greens were converted from bentgrass to champion bermudagrass. Teeing it up this week are seven past champions. Defending Champion Sergio Garcia, Webb Simpson, Arjun Atwal, Carl Pettersson, Brandt Snedeker, Davis Love III and K.J Choi. Joining them will be six winners from this season including Derek Ernst, Sang-Moon Bae, Boo Weekley, Brandt Snedeker, Bill Haas and Jordon Spieth. The bookies have the Top 5 in betting as: 14/1 Webb Simpson, 14/1 Brandt Snedeker, 16/1 Zach Johnson, 18/1 Sergio Garcia and 20/1 Bill Haas. The emphasis this week will be on ball placement. If you get the ball in the right place on the fairway it will give you the right angle to the green. Look for good driving accuracy and GIR stats this week. Sedgefield has played as one of the easiest Par 70 courses on the PGA Tour roster. Which is evident when looking at the winning scores over the past five years. -18, -18, -20, -16 and -21. It will also pay to be a good putter as the greens are still young and are very undulating. They slope from back to front. Looking at the field this week two players spring to mind. When it comes to a guy who has six PGA Tour titles to his name and has hit a purple patch of form you can not go past Rory. After starting the season with four missed cuts from six starts Sabbatini has his game back to where we know it should be. Sabbatini stands out this week due to his last three tournaments. T17th Sanderson Farms Championship, T12th Canadian Open and T7th Reno Tahoe Open has him hitting form at the right time. With a field that is missing the calibre of player we expect to see each week you can expect to see Rory taking advantage of this and showing why he has those six tour victories. Stats wise he is ranked 25th in greens in regulation, 3rd in birdie average, 12th in Par 3 birdie or better average, 32nd in Par 4 birdie or better average and 17th in GIR percentage from other than fairway. Rory represents excellent each way value this week. His current form in a low class field makes him stand out. For anyone who reads my previews you will know my thoughts on Hideki. There is no need to go into his excellent amateur career or his sensational form on the Japan Tour. All those results and stats have been mentioned on several occasions. Lets look at his PGA Tour form since June. T10th US Open, T6th The Open Championship, T16th Canadian Open, T21st WGC Championship and T19th PGA Championship. Are there any other golfers who spring to mind with that kind of form? If there was, what odds would they be in this tournament? Not 33/1 that is for sure! Look at the quality of the fields in the above mentioned tournaments and then look at this weeks event. They are chalk and cheese. I am almost considering Hideki to be the one of the best bets of the year! He will win on the PGA Tour sooner rather than later. Matsuyama is one talented player with a very bright future ahead. This week could be the break through week! Henrik Stenson and Zach Johnson both gave us good reason to cheer over the four days. Henrik finished 3rd giving us an each way collect while Zach managed a T8th finish. This entry was posted in Uncategorized and tagged Bill Haas, Brandt Snedeker, Golf, Hideki Matsuyama, PGA, PGA Tour, Rory Sabbatini, Sedgefield Country Club, Webb Simpson, Wyndham Championship on August 14, 2013 by bradeveleigh. 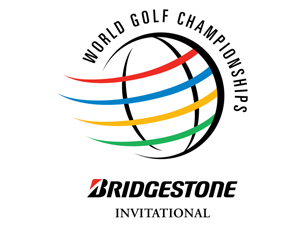 This week the PGA Tour heads to Akron, Ohio for the WGC Bridgestone Invitational at the Firestone Country Club. The South course is a Par 70, 7400 yards monster. It is the longest Par 70 course on the PGA Tour. It has 82 sand bunkers and 3 water hazards. The greens are pencross bentgrass, poa annua. There are several intimidating long Par 4’s on the course however they take a back seat to the Par 5, 16th which is the longest hole on the Tour measuring at 667 yards. Watch out for the water in front of the green. Before you play the 16th you need to contend with the Par 3, 15th at 221 yards. It is a challenging hole as there are hidden bunkers to the left of the green. Many players will come unstuck. Players who play well at the US Open tend to do well here due to the narrow fairways and thick rough. Players also have the option of using the driver a lot more often as there are not as many doglegs on the South course that you would normally see each week. Past winners have all ranked highly in GIR stats so keep this in mind when looking at the field. This week the bookies Top 5 players in the market are: 9/2 Tiger Woods, 14/1 Phil Mickelson, 16/1 Adam Scott, 20/1 Brandt Snedeker and 22/1 Rory McIlroy. The field also consists of 23 players who have already won on the PGA Tour this season. Names include Dustin Johnson, Kevin Streelman, Martin Laird, Billy Horschel, Boo Weekley and Bill Haas. Joining them are several International players such as Angel Cabrera, Nicolas Colsaerts, Mikko Ilonen, Matteo Manassero and Kiradech Aphibarnrat. So who do we like this week? I generally stay clear of the favourites however this week I am making an exception. Tiger loves Firestone. He has won this event a staggering seven times. (1999, 2000, 2001, 2005, 2006, 2007 and 2009). He will be looking for his eighth win this weekend to go alongside his eight wins at both Torrey Pines and Bay Hill. It is hard to fault his game this season. Ten starts for no missed cuts. Six Top 10’s and 4 wins! He has won the Farmers Insurance, WGC Cadillac Championship, Arnold Palmer Invitational and The Players Championship. Tiger is coming off a T6th at The Open which has given him a few weeks rest between events. Stats wise he is ranked 1st in scoring average, 1st in all round rankings, 4th in strokes gained putting and 17th in ball striking. While he may be at rather short odds this week, it would not be smart to over look him. He stands out as the obvious choice this week. If there is one player who deserves a win this season it is Jason Day. While he has not won just yet, he has put in some great results meaning a win is just around the corner. Fifteen starts for no missed cuts resulting in five Top 10’s. Highlights have been 3rd at The Masters and T2nd in the US Open. Day’s last start was at The Open Championship were he finished T32nd. This will be his fourth start in the WGC Bridgestone Invitational. T22nd in 2010, T4th in 2011 and T29th last year. His game is in great nick and at 33/1 Jason represents an excellent each way selection. Currently ranking 18th in driving distance, 21st in strokes gained putting and 13th in scoring average he is sure to be up there challenging over the weekend. This entry was posted in Golf and tagged Firestone Country Club, Golf, PGA Tour, Players Championship, Rory McIlroy, Tiger Woods, WGC Bridgestone Invitational on July 31, 2013 by bradeveleigh. Rev up the mower, start up the tractor or jump on the combine harvester. It is time to travel to the Midwest for the John Deere Classic! Silvis, Illinois should come to life this week as the John Deere Classic is played at TPC Deere Run for the fourteenth time since its first visit here in 2000. John Deere have been the sponsor of this event since 1999. The course measures 7268 yards and is a Par 71 with 78 bunkers and 3 water hazards and the fairways and greens are bentgrass. The scoring should be low this week as TPC Deere Run was ranked the easiest Par 71 course from the eleven played on Tour last year. It also gave up the most birdies on the Tour in 2011 and 2012. This is evident by looking at the scores from the past four years. In 2009 Steve Stricker finished on -20 and won by three shots from Brett Quigley, Zach Johnson and Brandt Snedeker. In 2010 Steve Stricker was at it again when he successfully defended his title with a score of -26. He beat Paul Goydos by two shots with Jeff Maggert a further two shots back on -20. Steve Stricker was at it again in 2011 with a -22 which saw him win his third straight title. He saw off Kyle Stanley on -21 and Matt McQuillan was in a share for third on -17 with Zach Johnson. Last year Zach Johnson finishing on -20 with Troy Matteson. He claimed the title after beating Matteson on the second play off hole. Scott Piercy was a further two shots back on -18 in third place. This year Stricker is the over whelming favourite to claim his fourth title! The Top 5 in betting this week are:- Steve Stricker 7/1, Zach Johnson 16/1, Louis Oosthuizen 22/1, Keegan Bradley 22/1 and Ryan Moore 33/1. Joining them this week are Past Champions Jonathan Byrd and John Senden. Not to mention eight winners from this season including the likes of Boo Weekley, Harris English and Ken Duke. So what does it take to win the John Deere Classic? If you look at the past winners of this event, they have all ranked highly in hitting greens. Getting that ball on the dance floor is what it is all about. Once you are there you need to sink it and putting could play a vital role this week as it is sure to be a birdie-fest and it may come down to the person who has the least putts. Also look for guys who rank highly in birdies and par four performance. Time to have a look at who I have selected this week. Brendon has had 22 starts this season for nine Top 25’s and three Top 10’s. He has also gone low on several occasions such as -18 Phoenix Open, -15 Puerto Rico Open and -11 Shell Houston Open. Last year he played some great low scoring tournaments such as -18 Humana Challenge, -23 Justin Timberlake Shriners Hospital and -19 CIMB Classic. This will be his sixth start in the John Deere. In the last three years he has finished 19th in 2012 on -12, 7th in 2011 on -15 and 7th in 2010 on -15. Expect to see him challenging over the weekend. His stats have him ready. 20th in greens in regulation, 45th in birdie average, 26th in scoring average, 16th in ball striking and 37th in scrambling. This kid has the game! He will be a player to follow in the years ahead. Last year was his first taste of the PGA Tour. He played in four tournaments and showed the world what we can expect in the future. T19th St Jude Classic, T5th John Deere Classic, T18th True South Classic and a missed cut in the Frys.com Open. Luke also played ten events on the web.com tour last year and had seven Top Tens. Which included two victories. Those two wins had him scoring very low! -22 in the Albertsons Boise Open and -17 WNB Golf Classic. He also finished at -20 when T3rd in the Cox Classic and -17 when T10th in the Price Cutter Charity Championship. This year Guthrie has had 21 starts on the PGA Tour which has seen him with six Top 25’s and two Top 10’s. Those Top Tens were 3rd Honda Classic and T8th Zurich Classic of New Orleans. Guthrie is a birdie machine. He is currently ranked 10th on the PGA Tour in Total Birdies with 245 of them! As an Illinois native Luke should feel right at home this week. He was born in Quincy and now lives in Champaign which is a 3 hour drive from TPC Deere Run. No doubt he will also have fond memories of his 5th place last year. This entry was posted in Golf and tagged John Deere, John Deere Classic, Luke Guthrie, Matt McQuillan, PGA Tour, Steve Stricker, TPC Deere Run, Zach Johnson on July 9, 2013 by bradeveleigh.